Here at Creative Content Company we offer newsletter design and newsletter content to help get your business at the forefront of the minds of your target audience; when a client comes to us for newsletter creation and doesn’t have a newsletter tool in place we will often recommend MailChimp as the go-to newsletter tool. It is reported that 15 million people and businesses use MailChimp to send 1 billion emails every day; they send more emails than any other email / newsletter company and they send it fast too. Like us, our clients understand that money doesn’t grow on trees so we recommend (and use) MailChimp because it is well priced and extremely cost-effective; there are free options available for the amount of people and emails you send each month – we send around 2,000 email newsletters a month to our target audiences and this costs us less than £25 a month. From this we gain 3-5 sales per month which more than makes up for the monthly cost. MailChimp is easy to use and with a little know-how and patience you can set up your own e-newsletter template or you can call in our team who will set up an e-newsletter template that you can use for as long as you want, for a one off fee. Then all you need to do is add to that template each month with new content, always keeping the template the same so your readers know what to expect and recognise it as an email from your business. Make sure you include links to your website, blogs, products or services and include a special offer too. 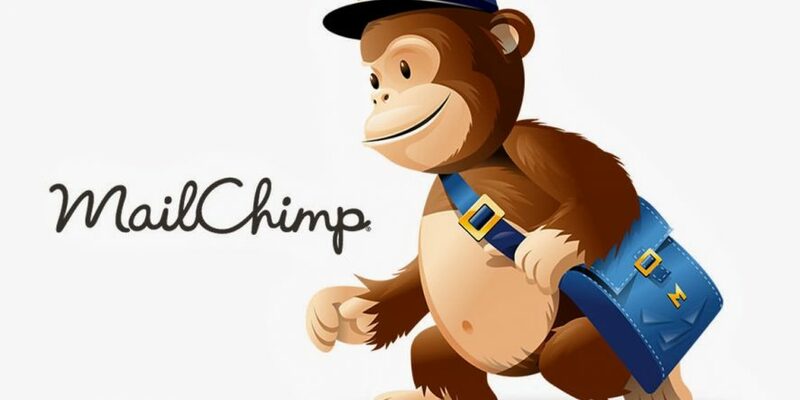 You can literally get started with MailChimp right now and start emailing; they offer a free service and this has no expiry date, you’ll only be charged if you go over their set amount of emails per month (and they’ll warn you as you get close). You don’t need to sign any contracts so there is nothing to get tied into and no credit card is required either. However, my personal favourite thing about MailChimp is that you get a Hi-5 when you send each campaign; it’s that friendly and engaging addition that makes MailChimp my favourite (and hugely recommended) e-newsletter tool. AND they send me goodies at Christmas just for being a user of their tool; I have a furry MailChimp ornament, a bag, a pen and some super cool MailChimp socks as well.